UPDATE: As of 3:30 PM, traffic is being detoured while PPL repairs the snapped pole. Unofficial info on Facebook stated that some traffic was allowed to pass earlier. UPDATE: Still detoured as of 1:30 PM. 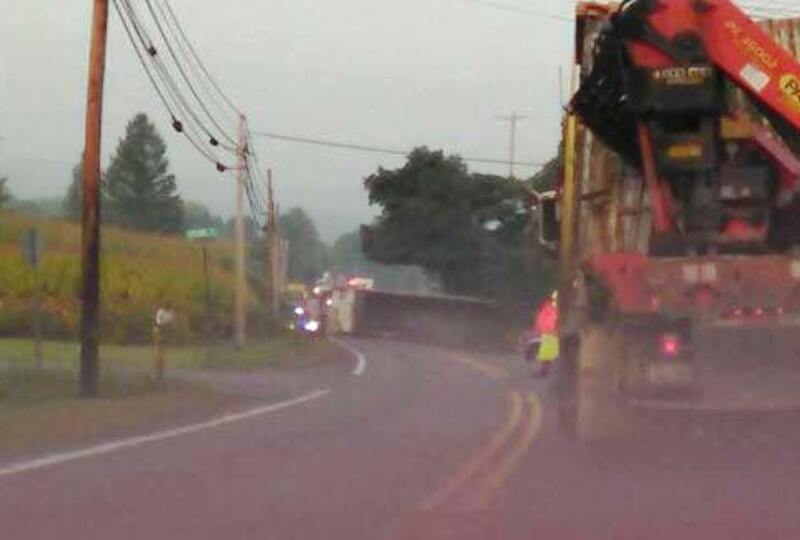 As of 1 PM today (Wednesday, September 2, 2015), traffic is being detoured around a section of Penn Drive (SR443) in West Penn Township after a trailer hauling municipal residual waste (turned fertilizer) this morning disconnected from a truck, snapped a PPL utility pole, and spilled its contents all over the road and adjacent yards. 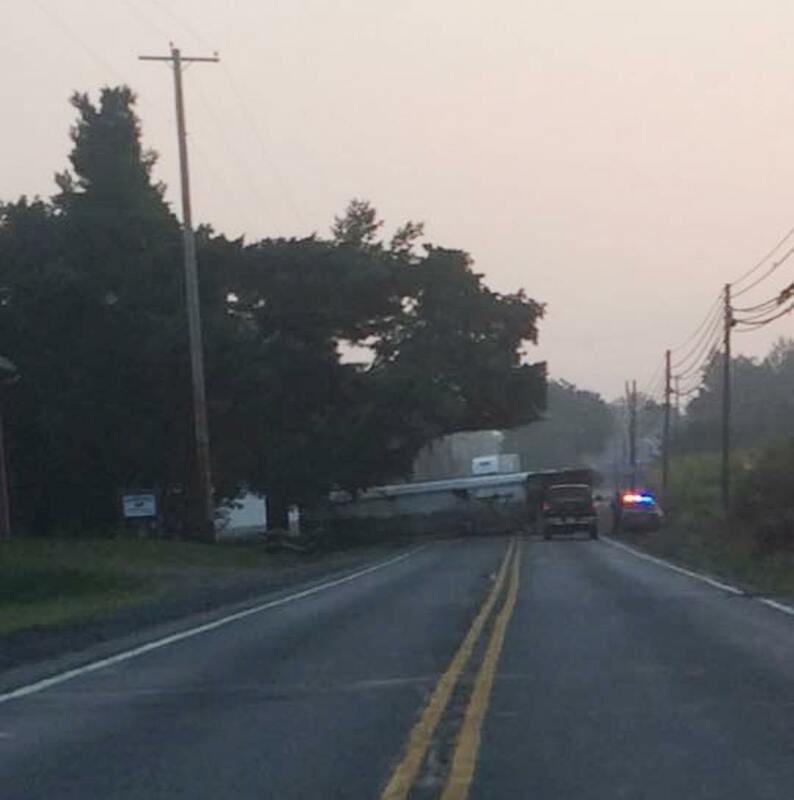 The incident occurred around 6 AM this morning just west of the Spring Road intersection and Mantzville Road. Fire police are detouring traffic around the scene. Editor’s note: It is practically impossible to hear West Penn fire scanner traffic. So if you see news happening in West Penn Township, take photos and/or contact TamaquaArea.com via phone/text 570-668-1234 or email at newstip@tamaquaarea.com.